Having a dog in your life hugely rewarding. Canines are loyal, loving, and great companions. For many of us, they are not simply pets but rather members of the family or even surrogate children. As such, our four-legged friends love spending time with their owners. It is important to set aside time from our busy schedules and generate new and different ideas to make our furry comrades feel valued. With that being said, here are five fun things to do this weekend with your dog. 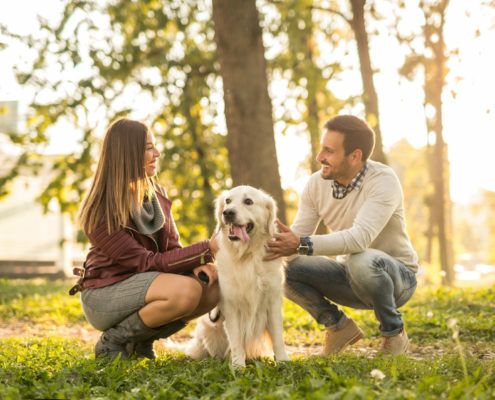 If the weather is not ideal or a dog parent has trouble getting out, it is a good idea to have some homebound activities to enjoy together. Consider cuddling on the couch with Fido and Netflix. 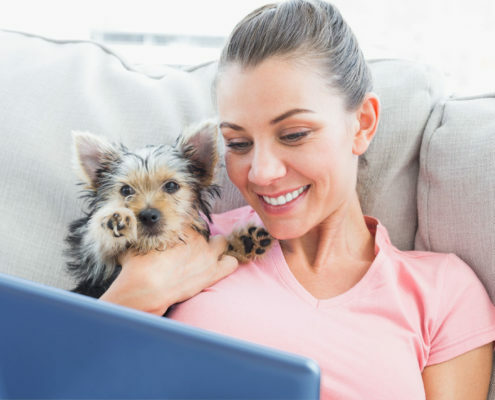 You can chill out with your best furry friend while binge-watching the shows and/or movies in your queue. If Netflix is not an option, just curl up together in front of the TV or pop in a DVD. Going for a “buh-bye” in the car is the universal language of love for most dogs. 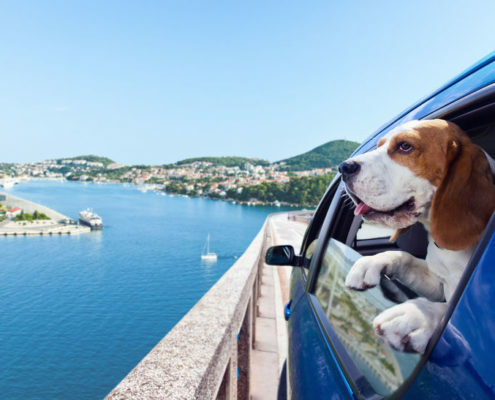 From the way they focus on their surroundings to their need to stick their head out the window, they are always “doggone” grateful for a weekend drive with their owner. Just set aside a couple of hours to bond with your pup on the road. Most canines relish the chance to take a dip, especially during the summer months. Also, a trip to the beach usually involves a car ride, so it is extra fun for them. If you have access to a pool, you might not even have to leave home. 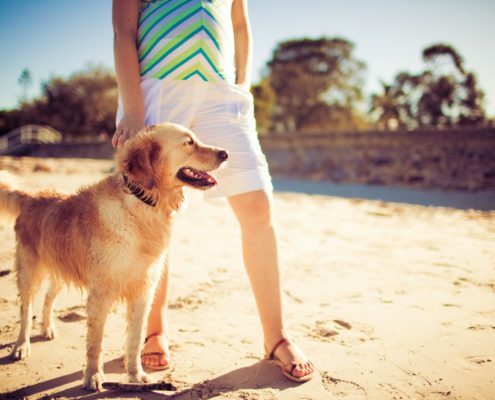 Whether beachside or poolside, this is a terrific and fun bonding activity for owner and pup. Pack a lunch and make a day of it. This oldie-but-goody is tried and true. Dogs love their park time and the owners who take them. This is a great way for dogs and their owners to get some exercise and spend time together. Want to give your hound an extra treat? Grab the leash and a favorite toy or Frisbee. Your canine will thank you and so will your waistline. Some dogs love it, others not so much. 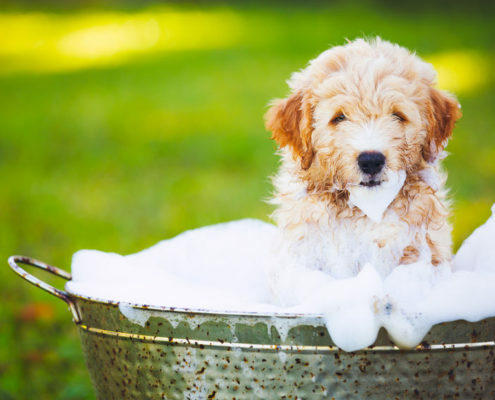 Consider an outdoor bath with a hose, sprinklers, or even the pool. If you have mobility issues, the sink or tub is always an option. 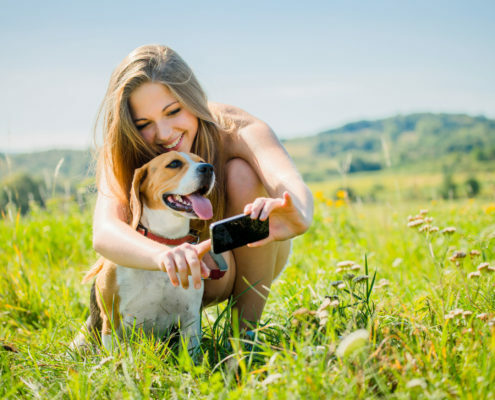 Your pup will enjoy the fun factor involved and you could follow it up with a nice clipping. This is a multifaceted, time-saving solution for dog parents with busy schedules and/or ornery animals. Do not allow your canine to feel neglected despite having busy lives and careers that often get in the way. Resolve to carve some quality time out of that busy schedule and give these five tips a try. Let the bonding begin. Mackenzie Grove is a blogger and writer from Canada. She is a pet lover, owner over the last 10 years and worked on a growing pet business for almost 3 years. Now she is writing for Dogclippersly. Check out her latest article here. When your new friend looks like you but seems a little…off. You have to see this dog become a foster dad to kittens!